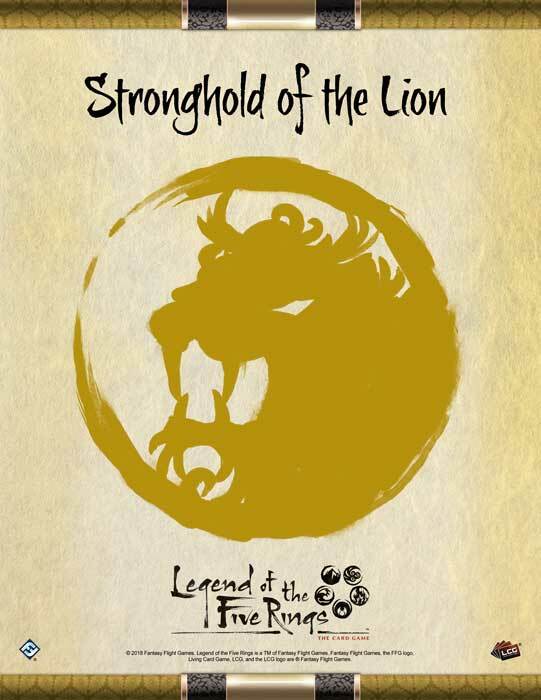 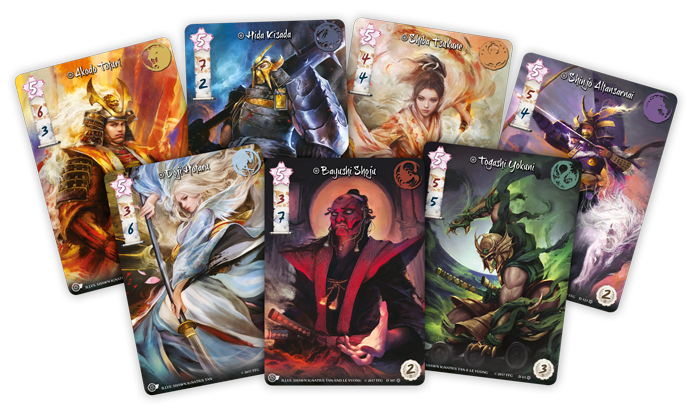 At Battle for the Stronghold events for Legend of the Five Rings: The Card Game, you represent your clan and vie for control of your favorite local game store. 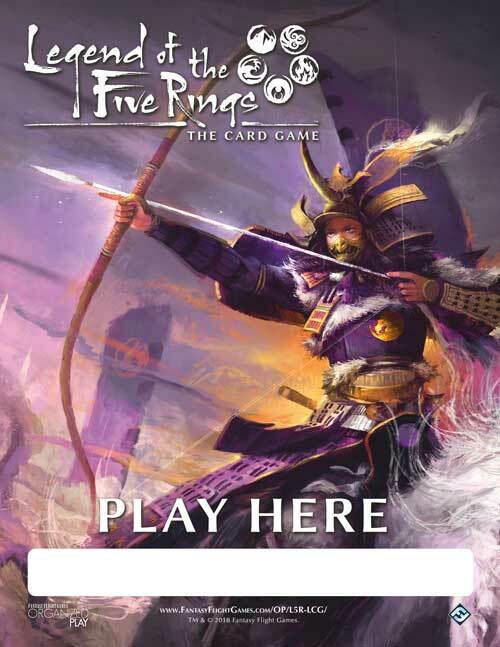 Each Battle for the Stronghold Kit supports a single Battle for the Stronghold tournament, plus an extended series of Stronghold Control events that continue to thrust you into conflict with samurai from the other Great Clans. 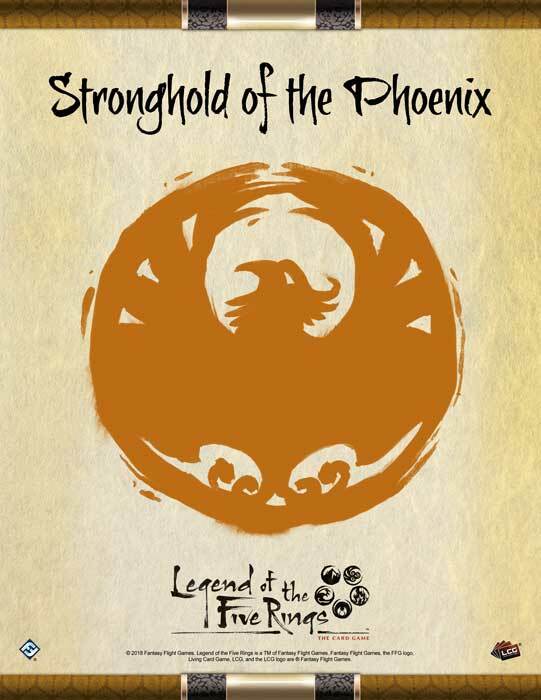 Your retailer will pick an end date for the Stronghold Control contest, and from the moment you sit down to the Battle for the Stronghold tournament until the end of the Stronghold Control contest, you and your fellow clan members will track your victories and losses, as will the members of each other clan. 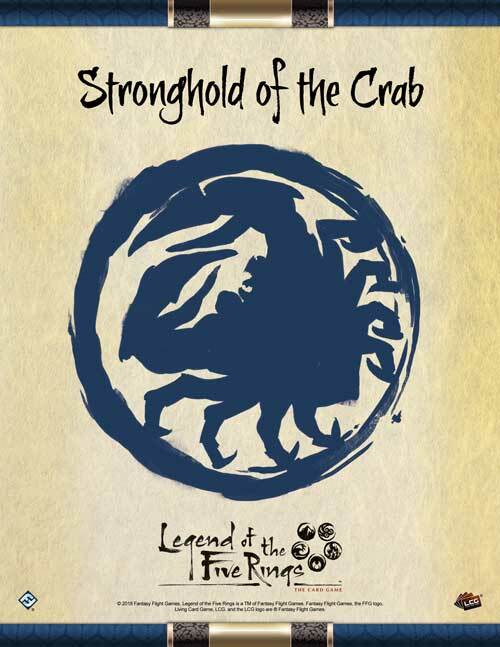 Download the Stronghold Control tracking sheet (pdf, 2.7 MB). 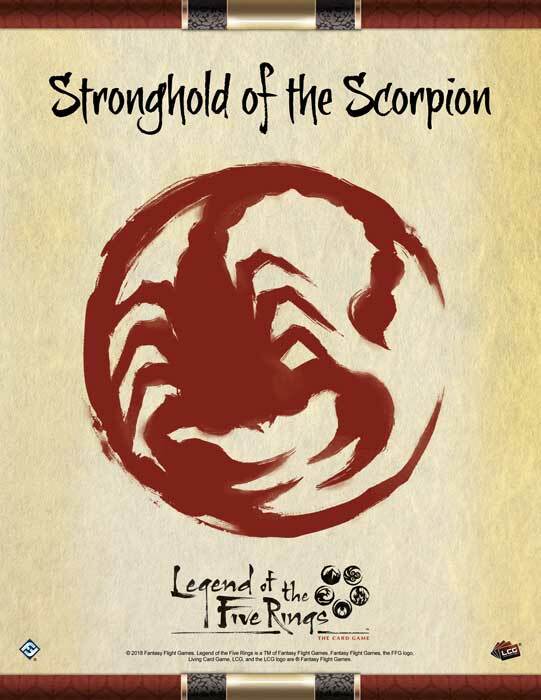 At the end of the Stronghold Control contest, the clan with the most net victories (total victories minus total losses) gains control of the store—local bragging rights, the chance to decorate the store with your clan's colors and iconography, along with any future benefits that may come with the control of your store. 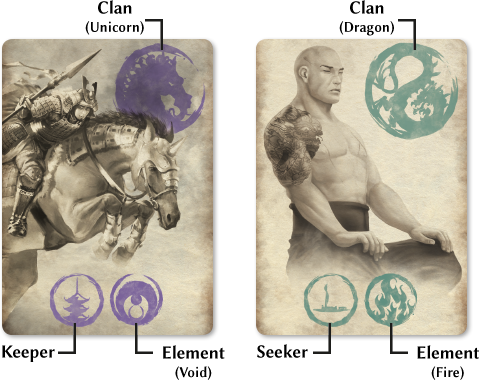 The current Battle for the Stronghold Kit is designed to support a single tournament and comes with prizes for as many as six players from each clan. 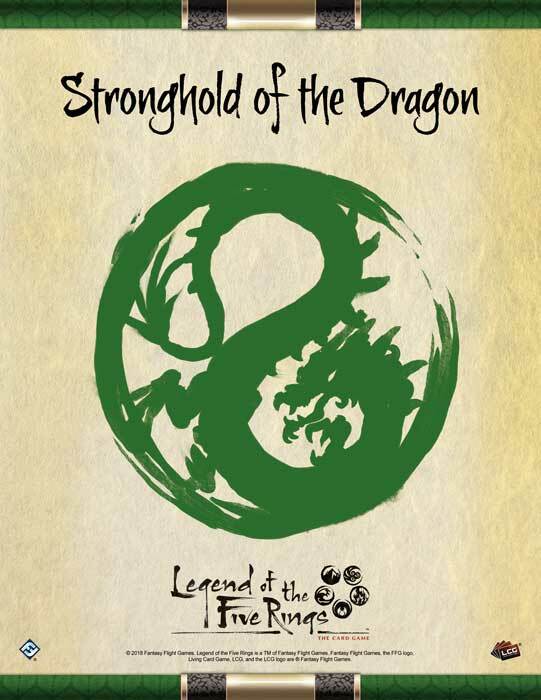 Each Battle for the Stronghold tournament features a number of Swiss rounds determined by attendance according to the Basic Structure chart from the Legend of the Five Rings: The Card Game Tournament Regulations (pdf, 8.8 MB). 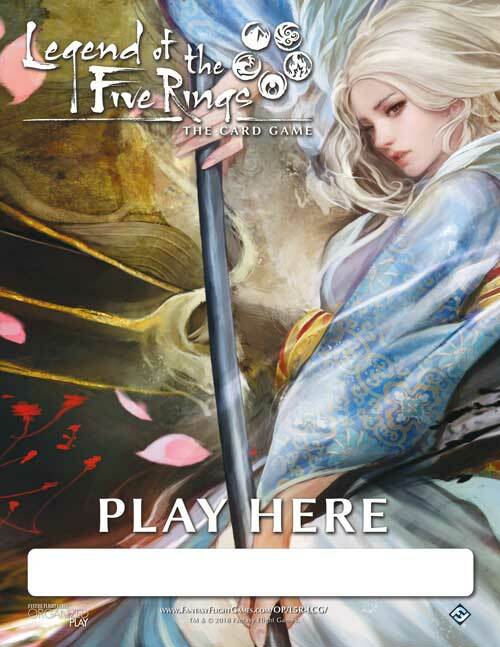 This event does not feature a progression cut, and prizes are awarded at the end. 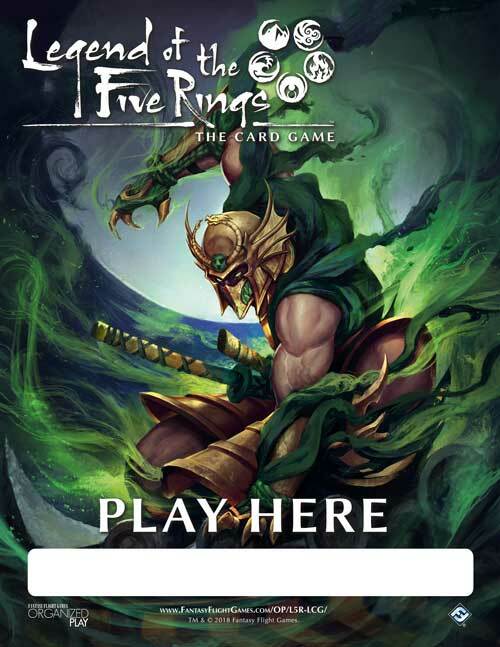 The Top 3 players from each clan receive extended art champion cards. 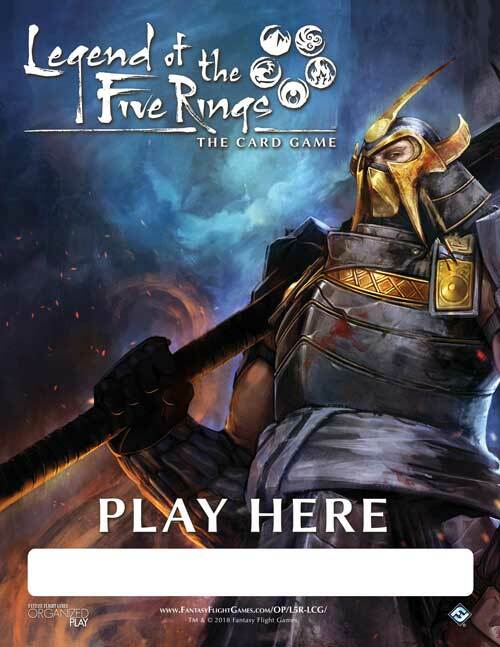 Retailers may, at their discretion, use multiple Battle for the Stronghold Kits to support larger events, or use multiple kits to host multiple events. 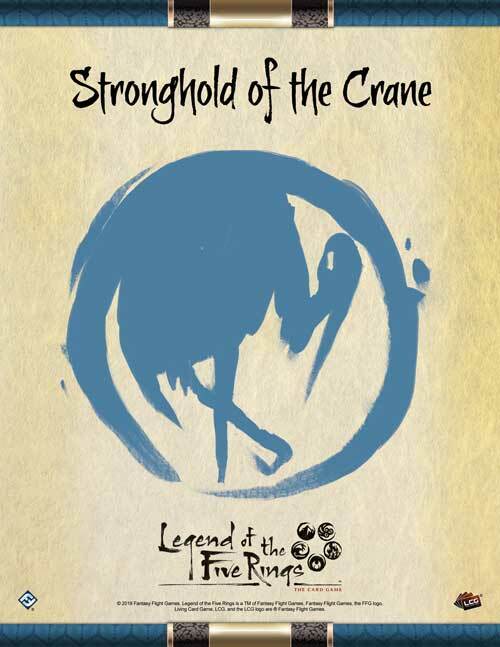 At the end of the Stronghold Control contest, one of the Great Clans will have established its dominance—having garnered the greatest positive difference between its total number of wins and its total number of losses. 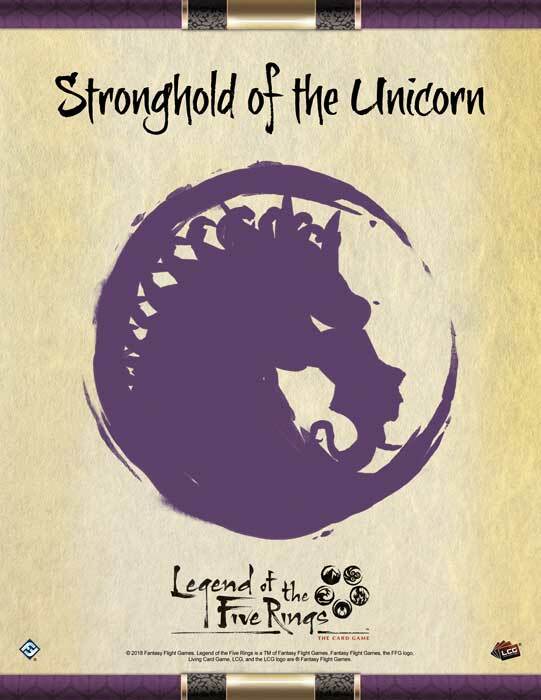 That clan gains control of the store, claiming it as their stronghold until the 2019 Battle for the Stronghold contest. 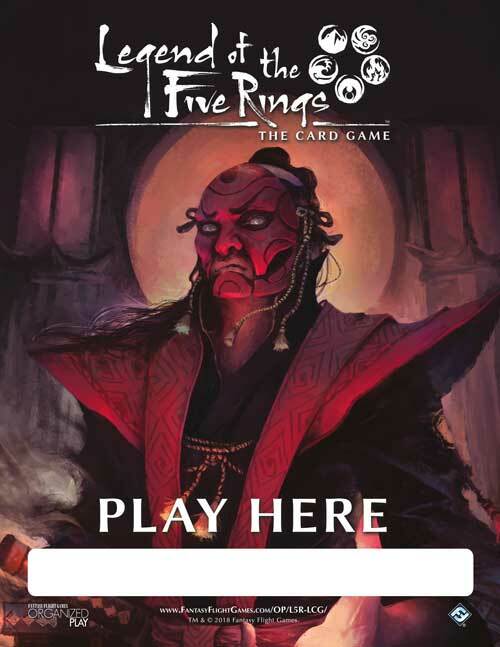 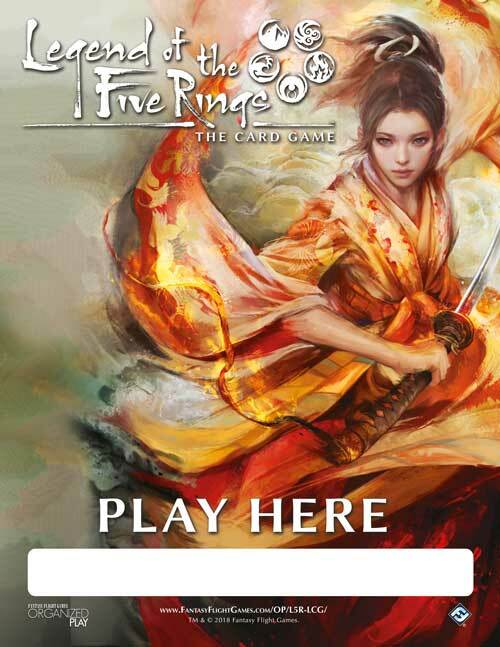 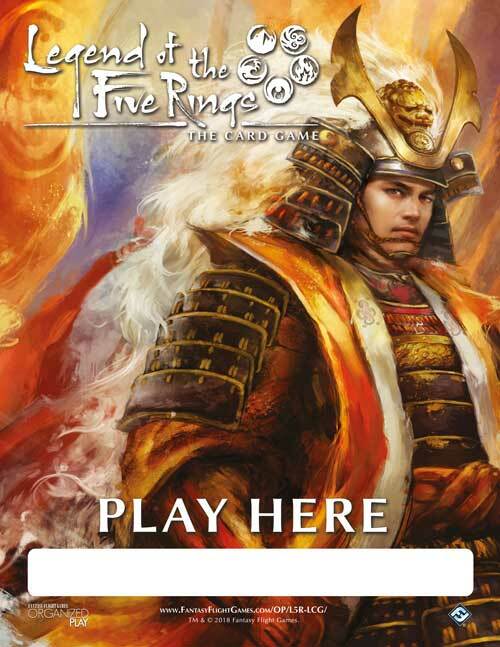 Retailers can then use these downloadable posters to decorate their stores and promote Legend of the Five Rings: The Card Game with the colors and iconography of the dominant clan.